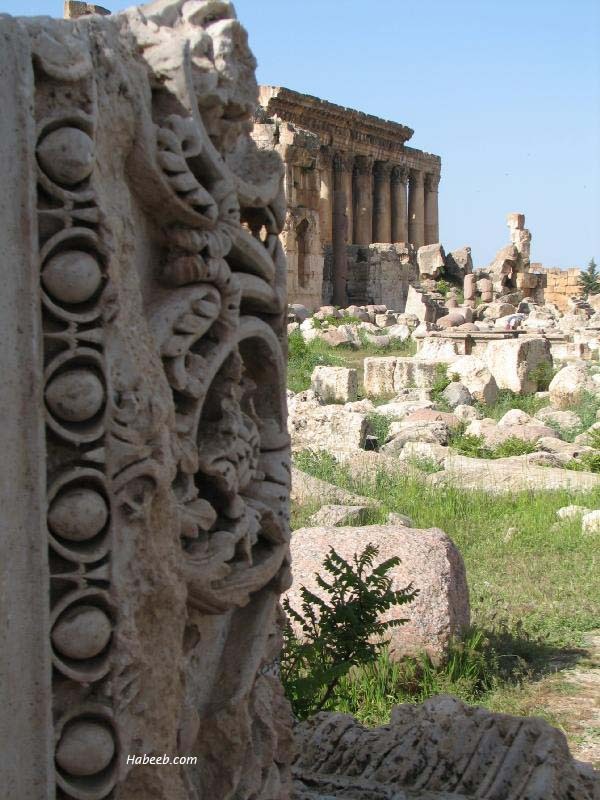 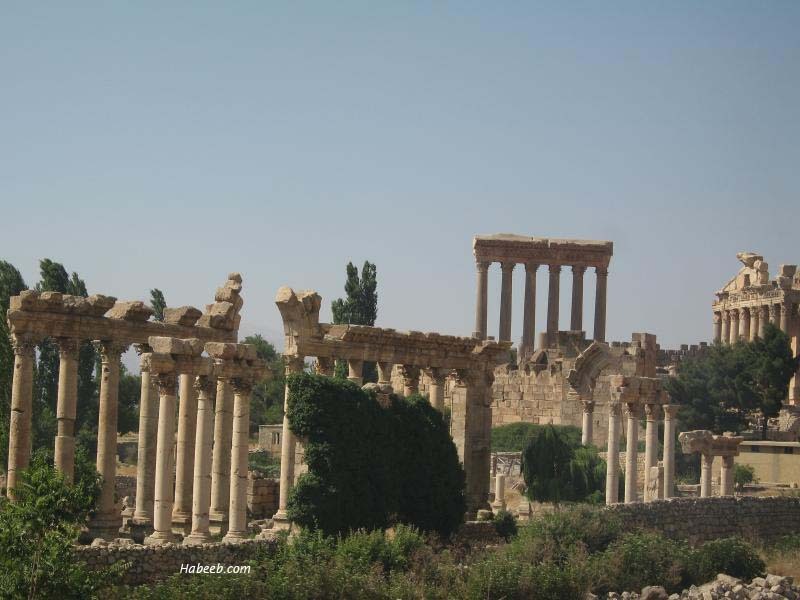 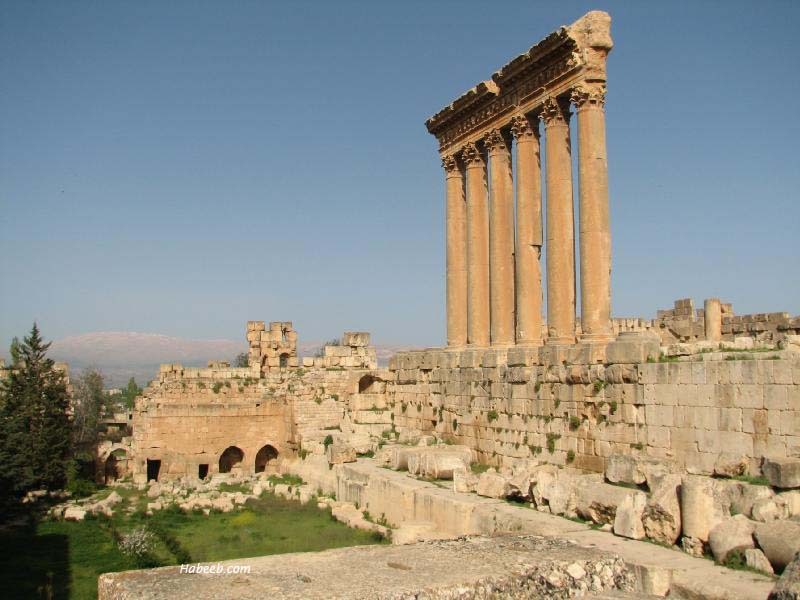 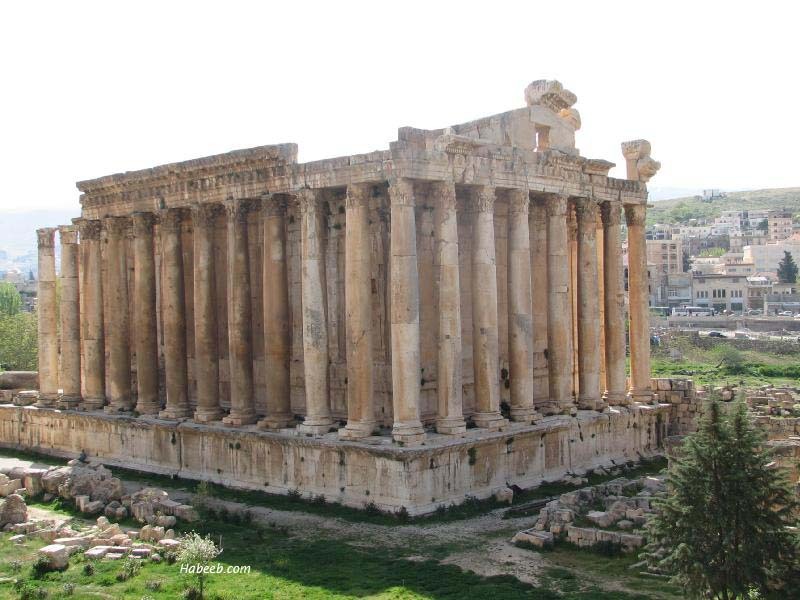 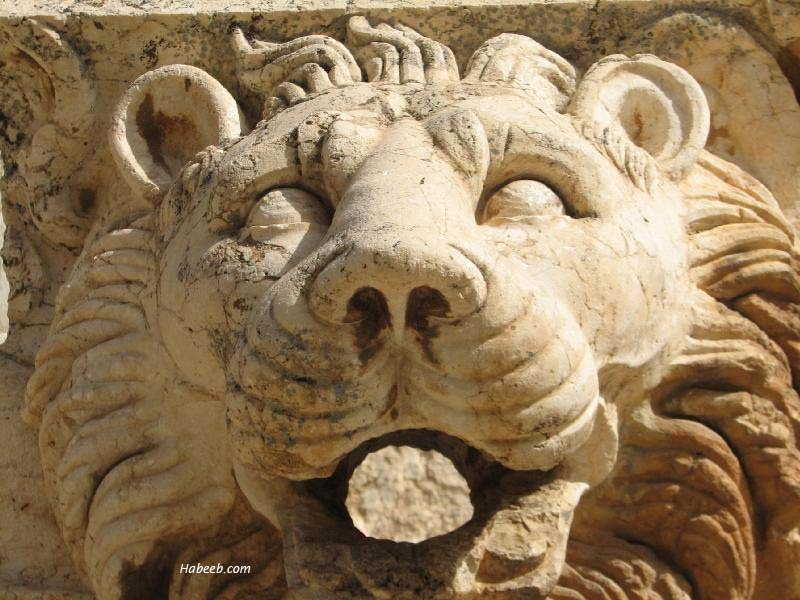 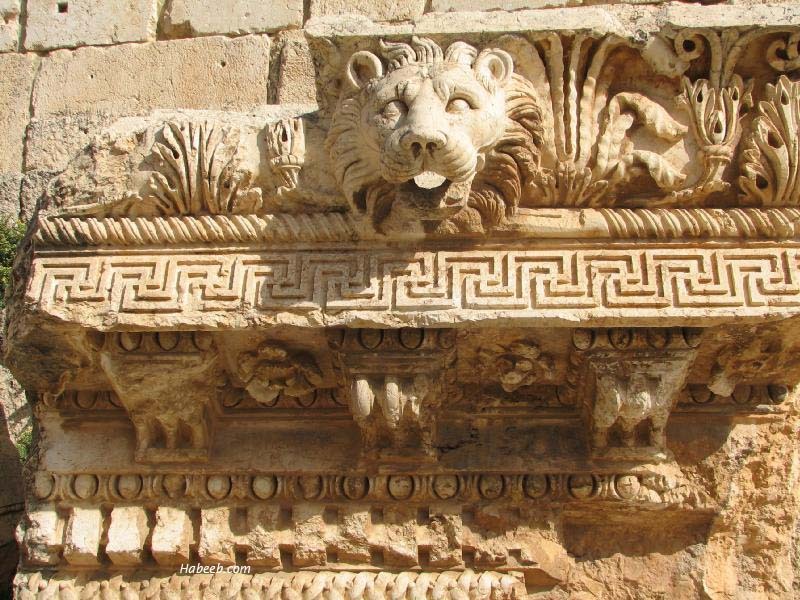 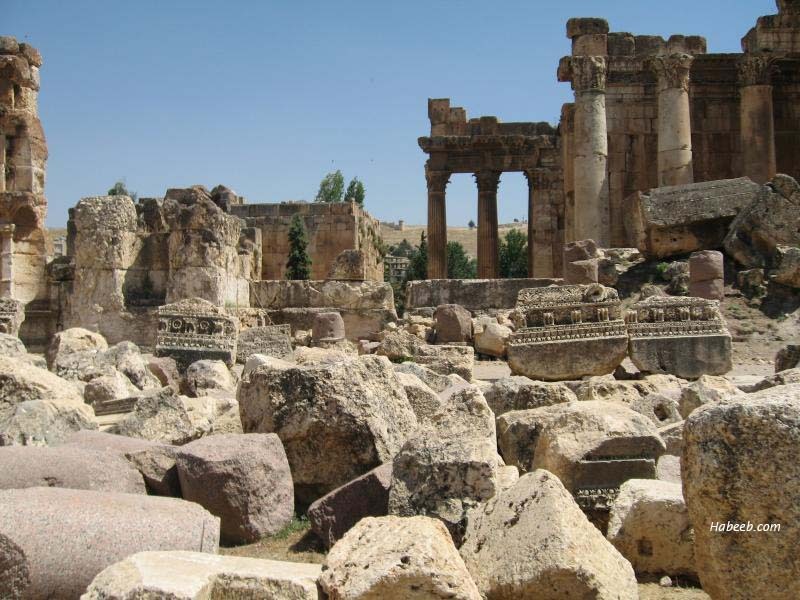 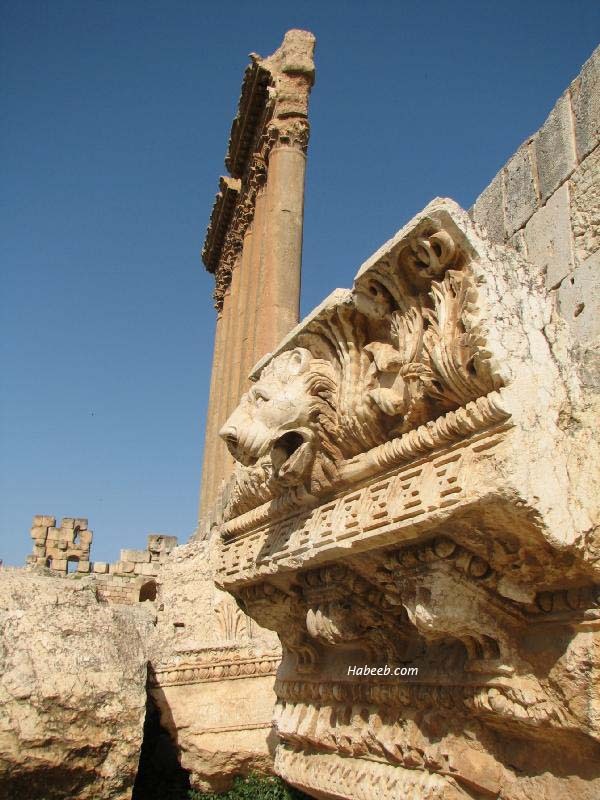 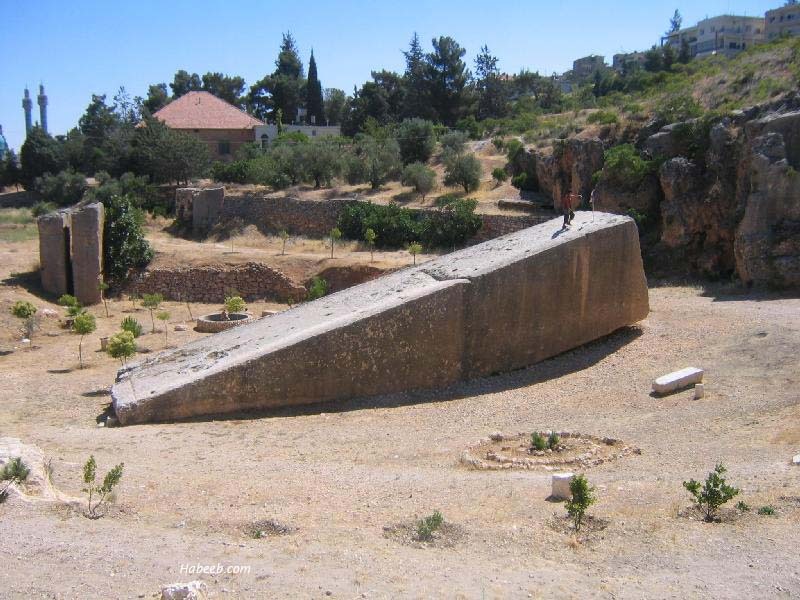 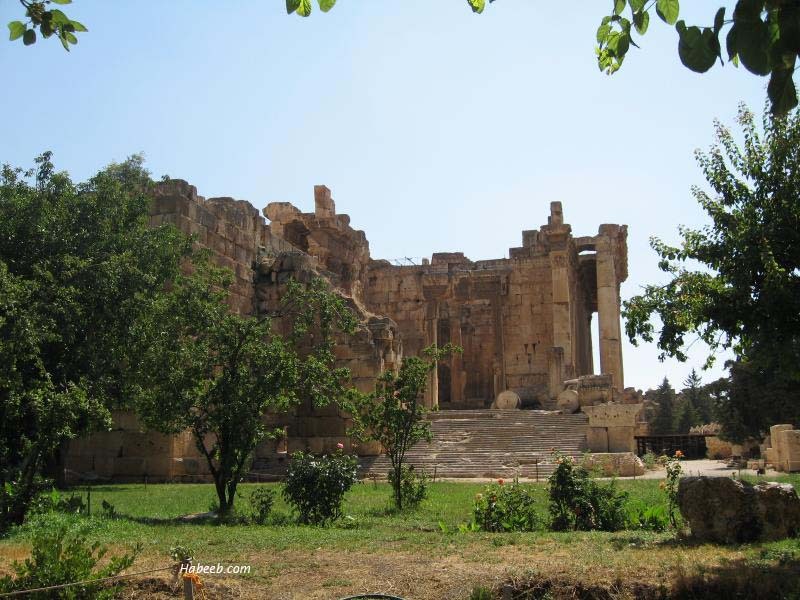 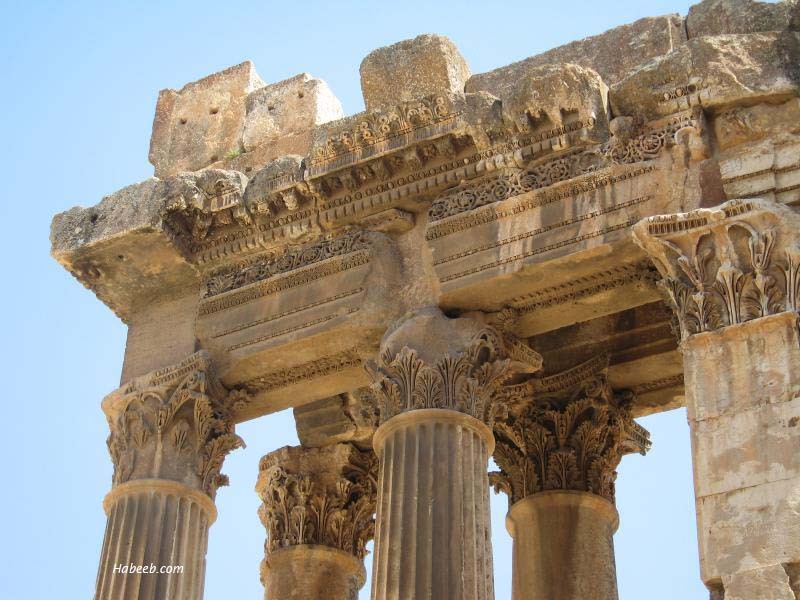 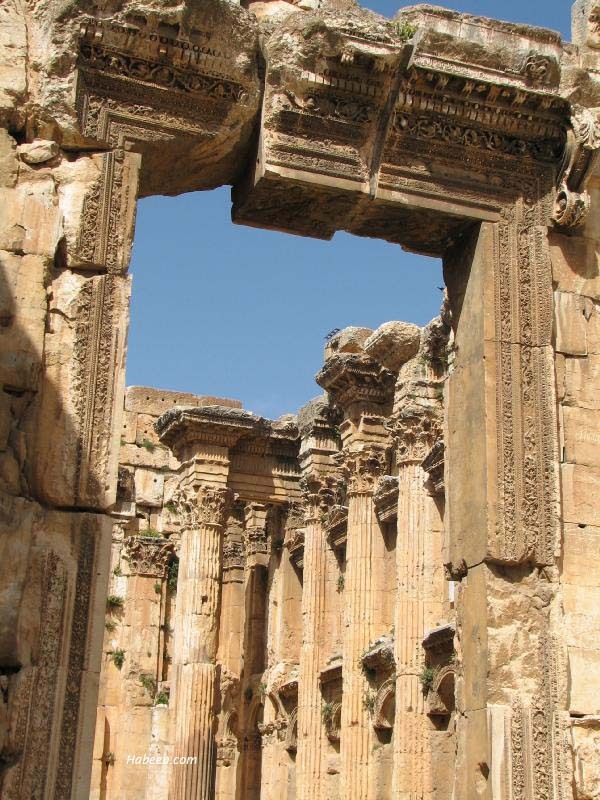 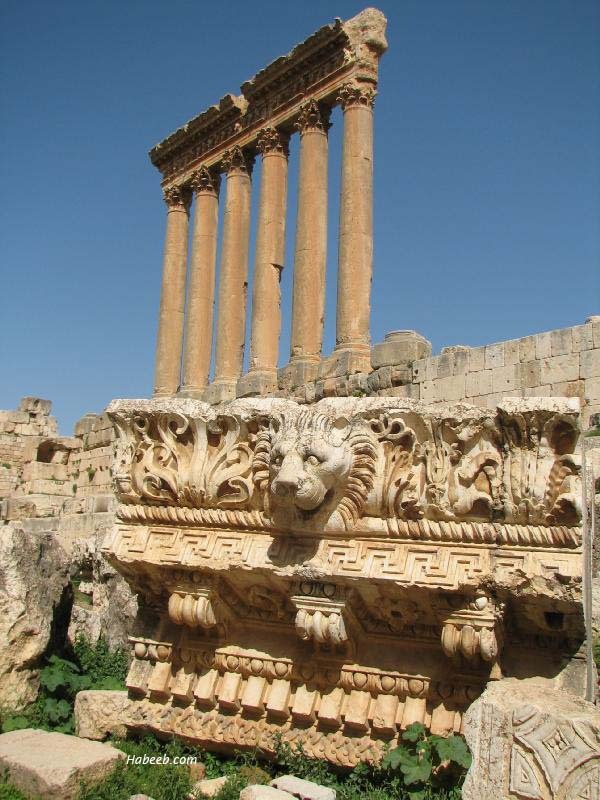 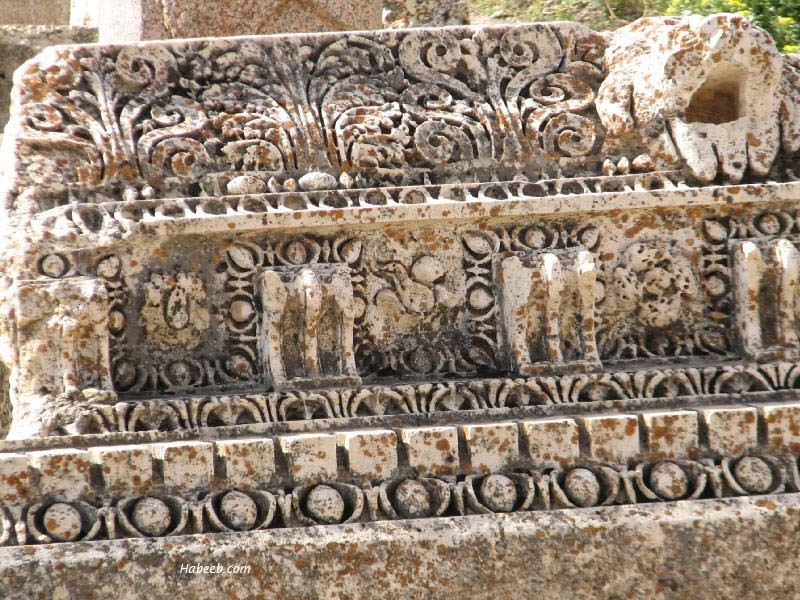 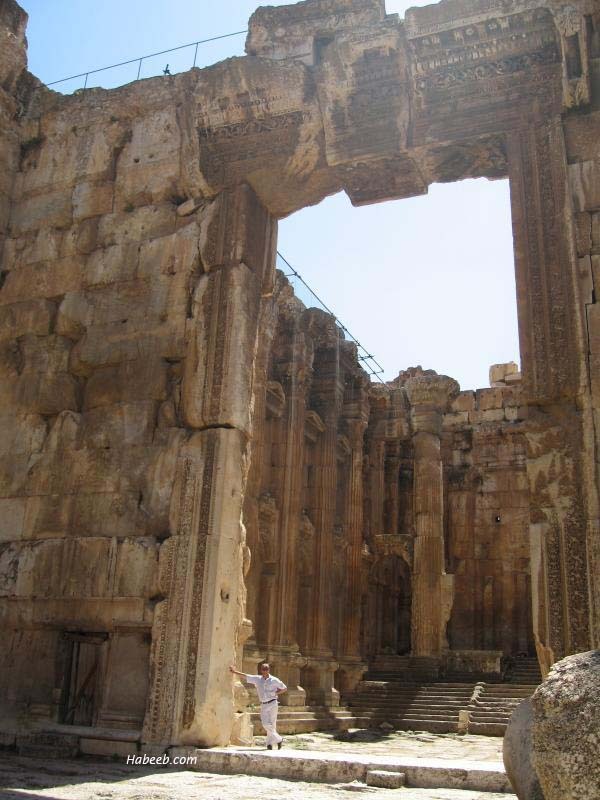 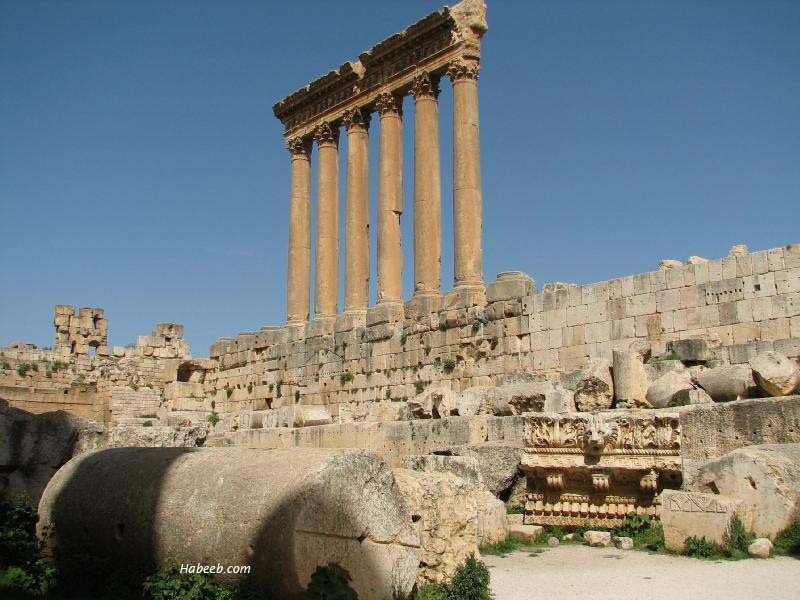 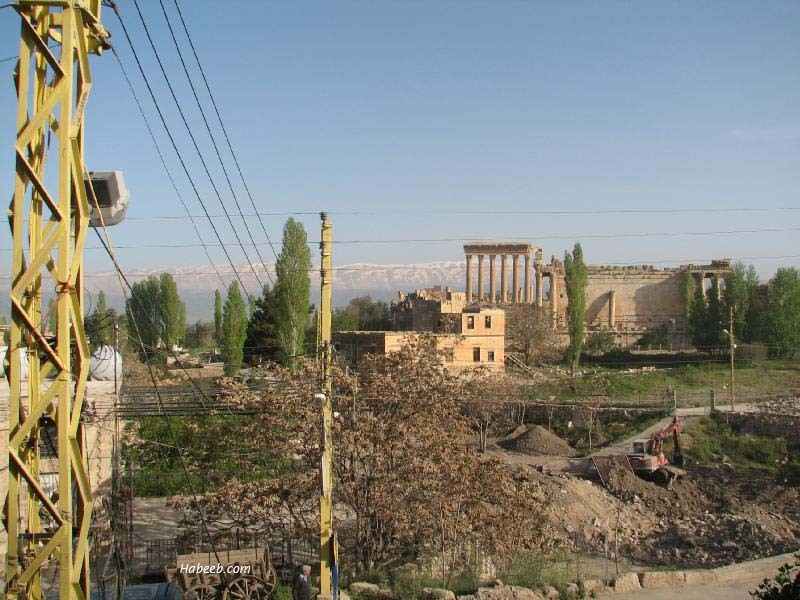 Baalbeck is in eastern Lebanon in the bekaa valley. 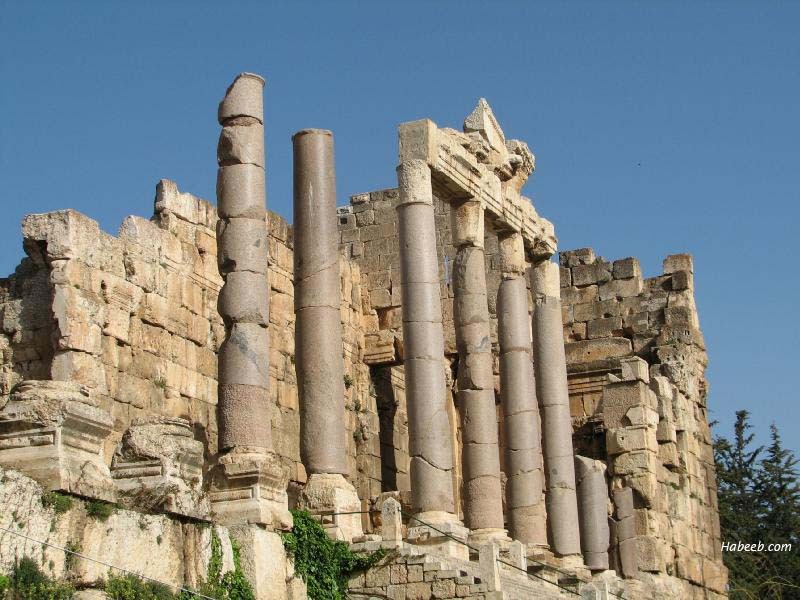 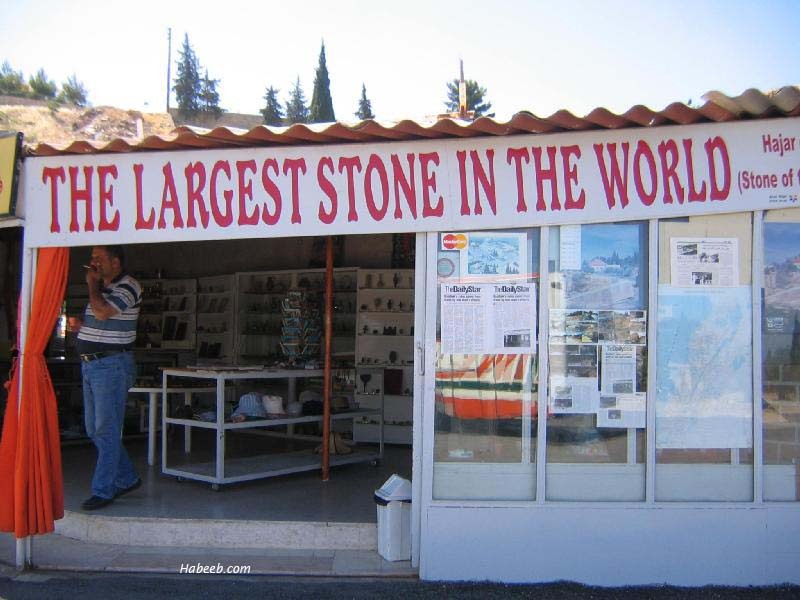 Lebanon has two mountain ranges. 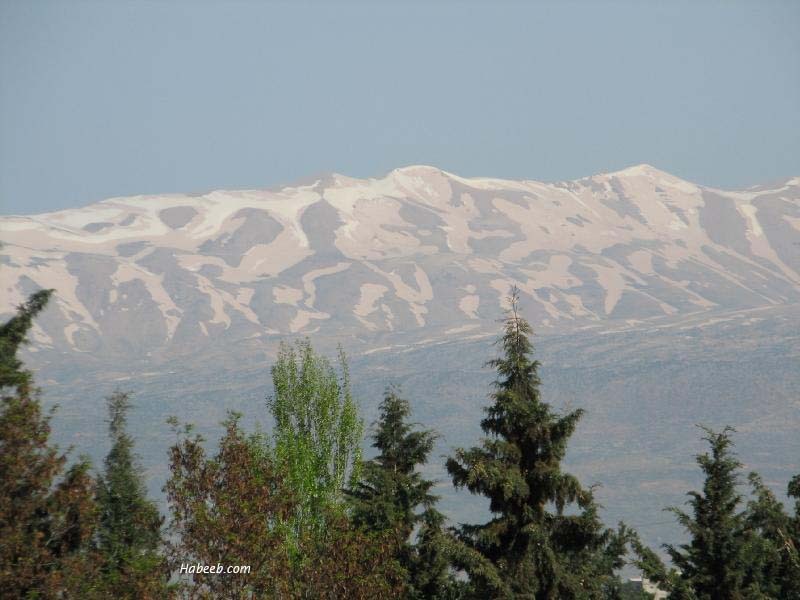 The western one (seen in the photo above) is called Mount Lebanon and is the higher of the two ranges. 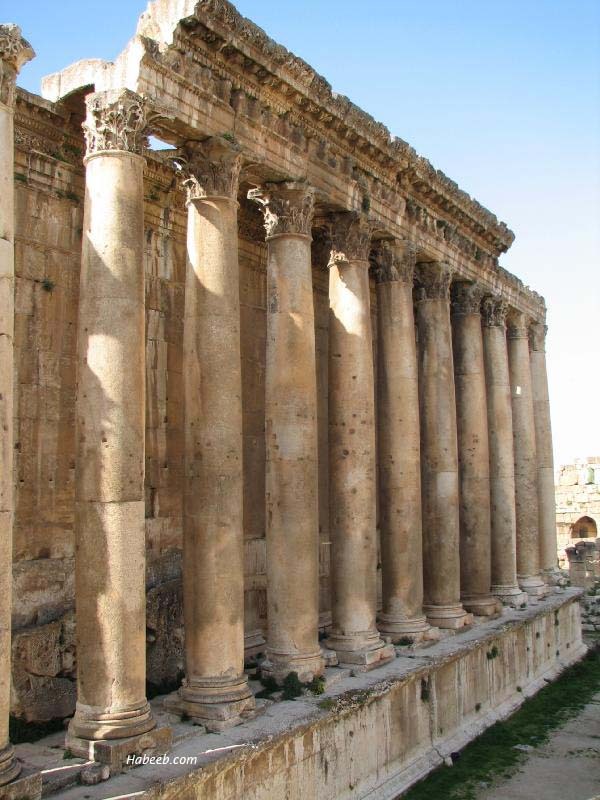 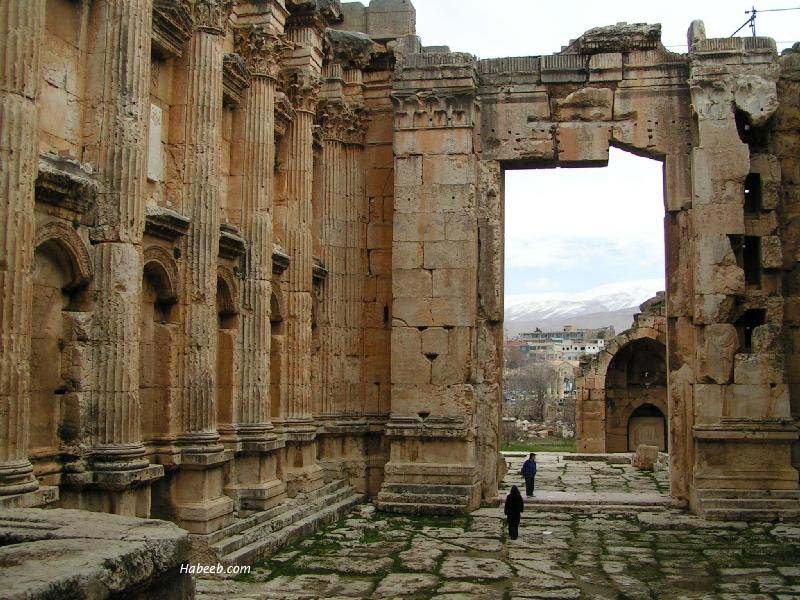 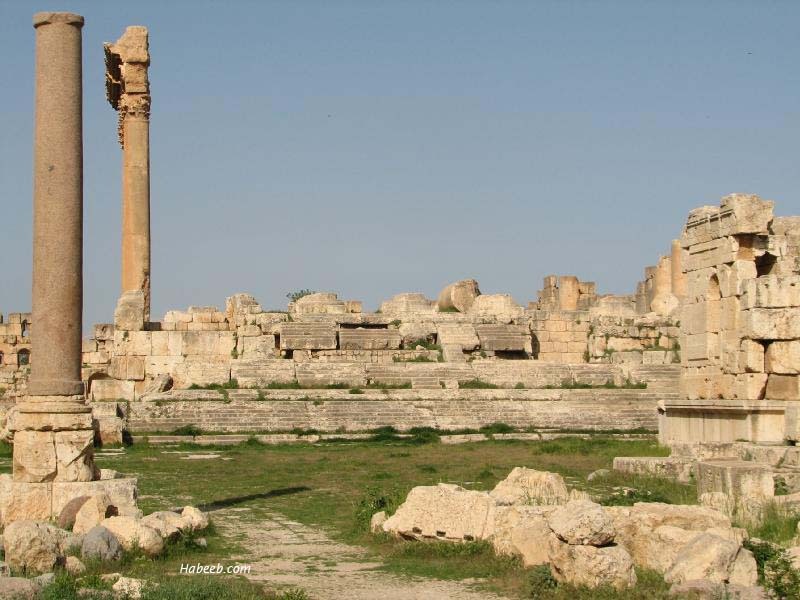 The	columns of the Temple of bacchus are on the right. 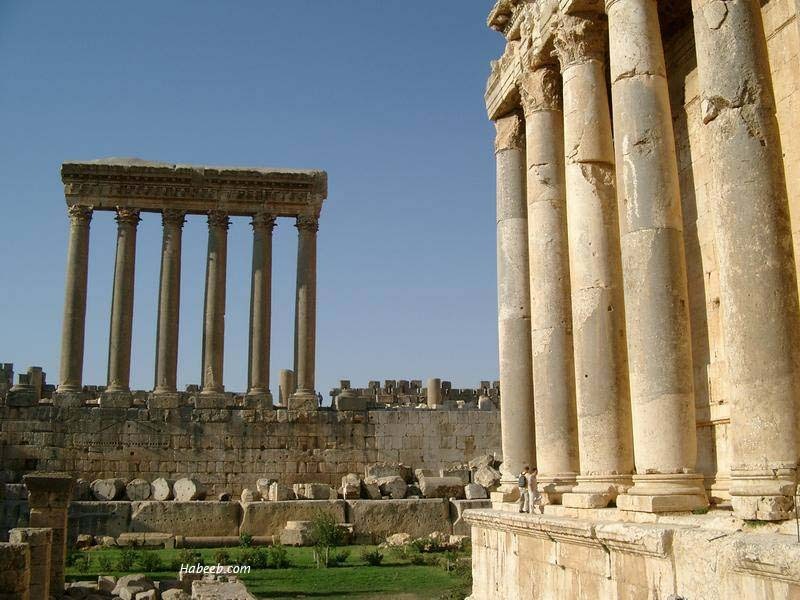 Notice how small the two tourists are compared with the height of the columns.